Low-cost carrier Citilink plans to introduce a Surabaya-Jedda flight route via Medan in North Sumatra and Mumbai in India from March 8. This plan is part of efforts to allow Muslims to travel to perform umroh, also known as the minor pilgrimage. 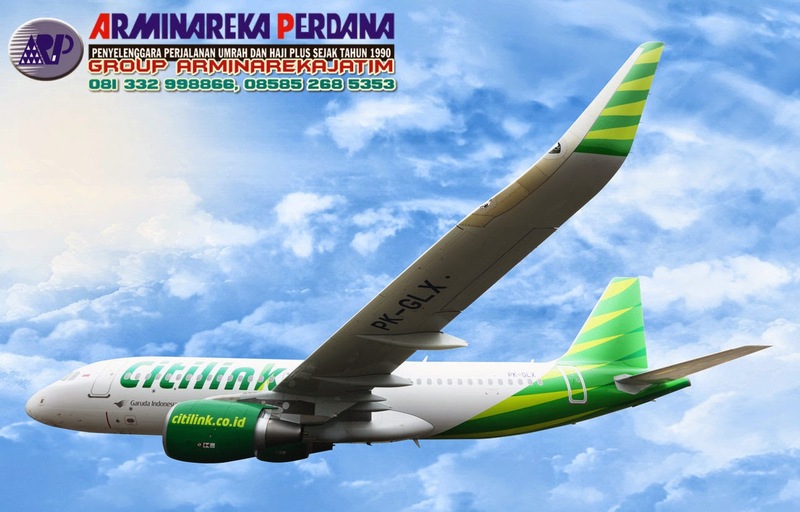 Citilink will fly the route thrice a week, on Tuesdays, Thursdays and Saturdays, using an Airbus A-320 with a seating capacity of 180 passengers, Vice President for Corporate Communications of Citilink Benny Butarbutar said here on Tuesday. The plane will depart at 09.00 p.m. from Juanda Airport. It takes nearly 12 hours for an A-320 airplane to fly from Surabaya to Jedda, Butarbutar pointed out, adding that as A-320 planes have a travel limit of five to six hours, they had to include a stopover in Medan and Mumbai. "We have set ourselves the target of flying at least 26,250 passengers from Surabaya to the holy land for umroh in the first semester of the year. We believe we can achieve the target as the economy of East Java grew by 5.86 percent above the national average," he noted.